With Easter just a week away, I’m happy to report that I’ve hit on what I feel is an authentic-tasting veganized version of ricotta pie! I’ve already gone on at length about my love for this pie. Many fond childhood Easter memories involve having a huge slice of the original version for breakfast or lunch, savoring the chilled, textured sweetness of the filling, surrounded by soft crust with just a hint of crunch at the edges. Turns out the trick to the vegan version is omitting anything resembling an egg, using vegan butter in the crust rather than a mix of butter and shortening and–this is the important part–achieving a creamy texture in the tofu ricotta. I’ve found that traditional tofu ricotta is much drier than dairy ricotta. That’s okay when you’re putting it in a savory dish that’s going to be covered in some kind of sauce, but ricotta pie filling requires a softer, smoother “cheese.” So for this pie, don’t drain your tofu! You want it to be a bit wet. For extra authenticity, the filling uses a mixture of extra-firm tofu and silken tofu to mimic the “curds and whey” texture of dairy ricotta. I hope you enjoy this veganized traditional treat as much as I do. Happy early Easter! Preheat oven to 375°F. Lightly grease a 10-inch pie pan and set aside. 1) Using your hands, crumble the extra-firm tofu into a bowl. Remember, it should be wet! 2) Place the silken tofu in a food processor and process until smooth. Add to the crumbled extra-firm tofu and mix well. 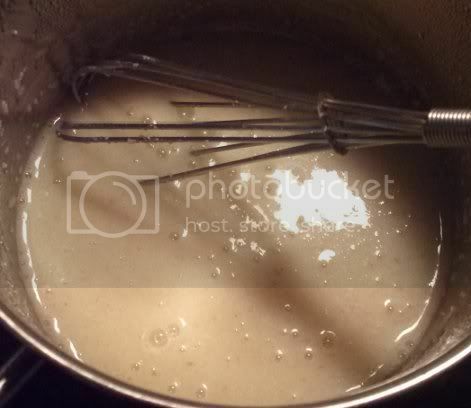 3) Add the lemon juice and salt and mix with a fork until very mushy. Add the olive oil and nutritional yeast and mix until smooth. Refrigerate until ready to use. 1) Combine flour, sugar, and salt in a food processor and process until combined. Add the nondairy butter and pulse until the dough forms coarse crumbs. 2) With the food processor running, slowly add water until a dough ball forms. Remove dough from the food processor, divide in half, and set aside. 1) Place the 1 1/4 cups water in a small saucepan and bring to a boil. 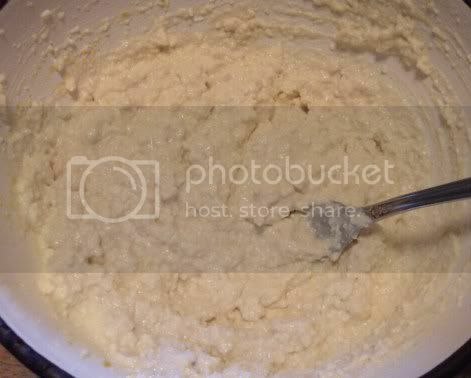 Slowly whisk in the cream of wheat or farina, being careful not to let lumps form. Bring back to a boil, then lower the heat and simmer for 2-3 minutes, whisking occasionally. Remove from the heat and let sit, covered, until thickened. 2) Add the sugar, vanilla extract, and coconut milk. Taste and adjust seasonings until the desired sweetness is reached. 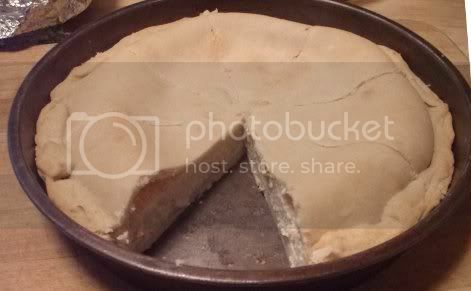 This is a pretty sweet pie, so don’t be shy! 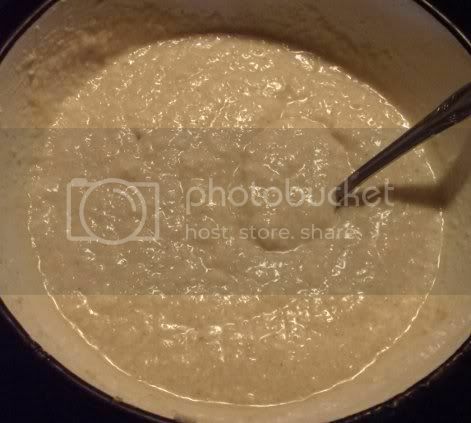 1) Remove the tofu ricotta from the refrigerator and add the cream of wheat mixture to it. Stil well until everything is combined and the mixture is as smooth as possible. 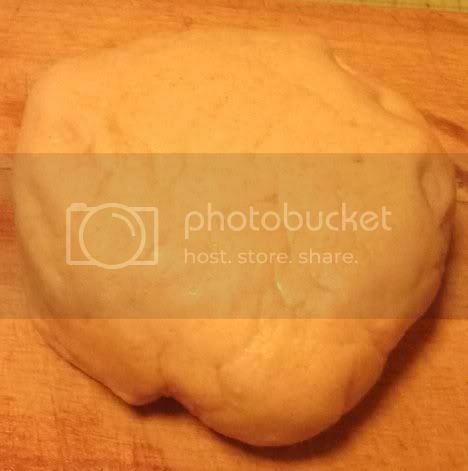 2) Roll one half of the dough out to 1/8in. 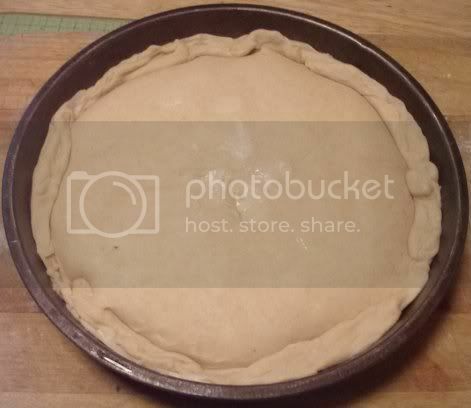 thickness and press gently into the bottom of the pie pan. Pour the filling into the crust and set aside. 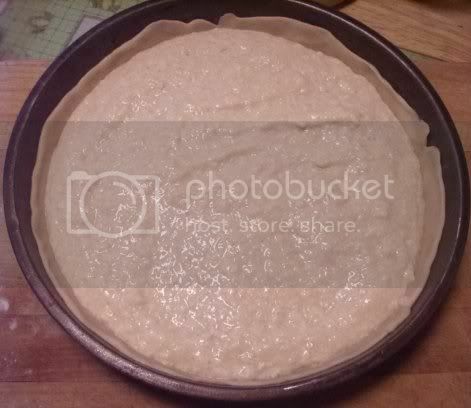 Roll the second half of the dough to the same thickness and place on top of the pie, pinching the edges shut all the way around. 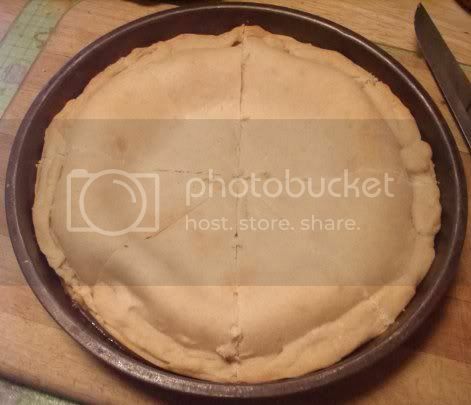 3) Prick the top of the pie with a fork in several places to let steam escape, or cut a few decorative slits. Cover any overhanging edges of the crust with aluminum foil to prevent burning. Bake for 40 minutes or until golden brown. 4) Remove from the oven and let sit on a wire rack until cool to the touch. Cover and refrigerate for a few hours or overnight until completely chilled. Serve cold for breakfast or dessert! 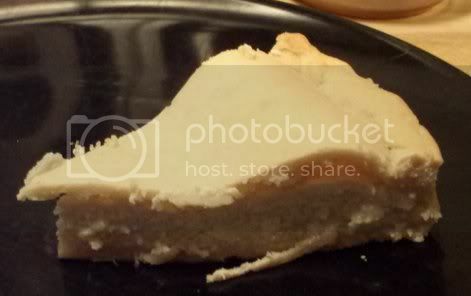 Would this have a similar taste to cheese cake?